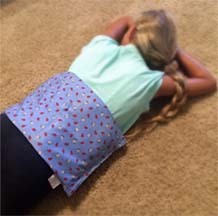 Our Corn Filled heating pads for back pain are simply the best in natural home remedies for back pain and are an excellent source of heat for sore or stiff muscles or back pain. Because our products can be frozen as well as heated, they can help remedy back pain by using a combination of hot-cold therapy to help reduce swelling and pain. Because our ‘Lap Warmer’ measures 10 x 18 inches, it's the ideal size to be used as a heat wrap for lower back heat therapy, making it our most popular size. It can also to be placed down the middle back or across the shoulders after spending a day at the desk or in front of the computer. 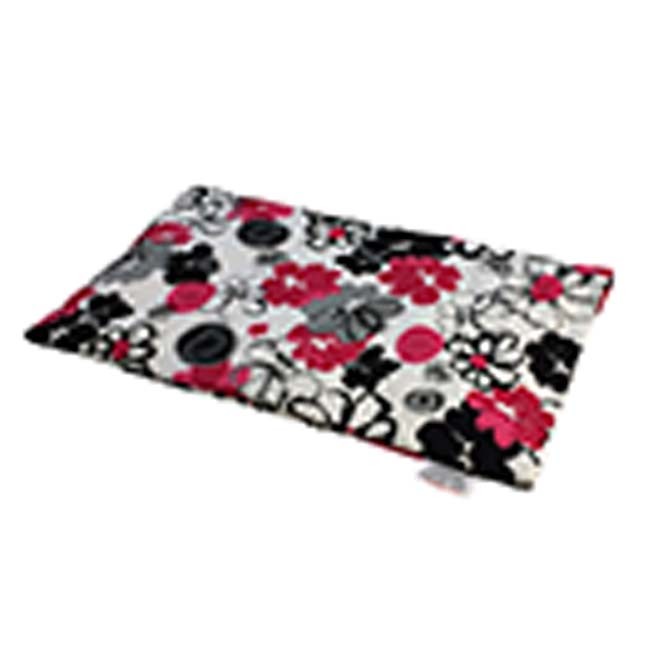 It's 18 inches long and was designed to lay across your lap, back, on your feet, or anywhere you have a larger area to keep warm. It is perfect for watching TV or spending time doing your favorite hobby and if your feet get cold, this is the choice for you. It is the ideal heating pad to help with lower back pain and shoulder. Use it for a Bed Heating Pad - it doesn't require wires and because of it's size, it keeps the bed warm for hours - make it your bed buddy! It is really amazing! You can personalize your CornBag with our huge selection of heating pad covers. We also have a variety of sizes for various issues and instructions for heating and cleaning your CornBag warmer. We hope you are able to find that perfect pad to help with pain or just to help you keep warm! Simply click one of these popular patterns below and a Heating Pad for Back Pain will be added to your shopping cart. Make Sure you Select Lap Wamer for the size.